And there it is, the unvarnished, raw, truth about how everything went wrong for middle class America. Since the Vietnam war, more than 45 years ago, the US has embarked on a neocon strategy of war in an effort to build a global empire. The result of that strategy has left American infrastructure second rate, its school system in shambles, and its healthcare system a complete and utter joke. 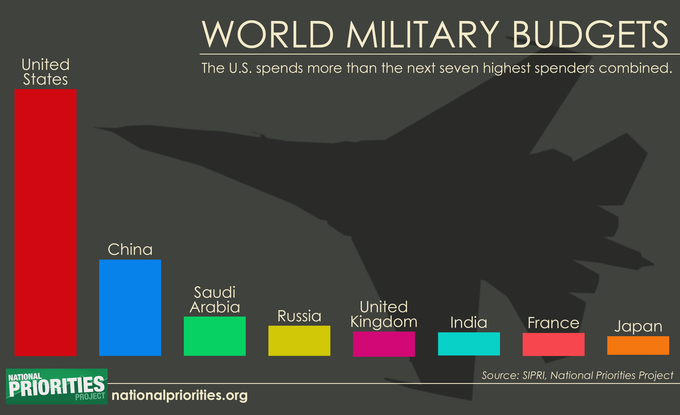 Just imagine what America could've done with $14t of investable dollars, instead of waging wars. 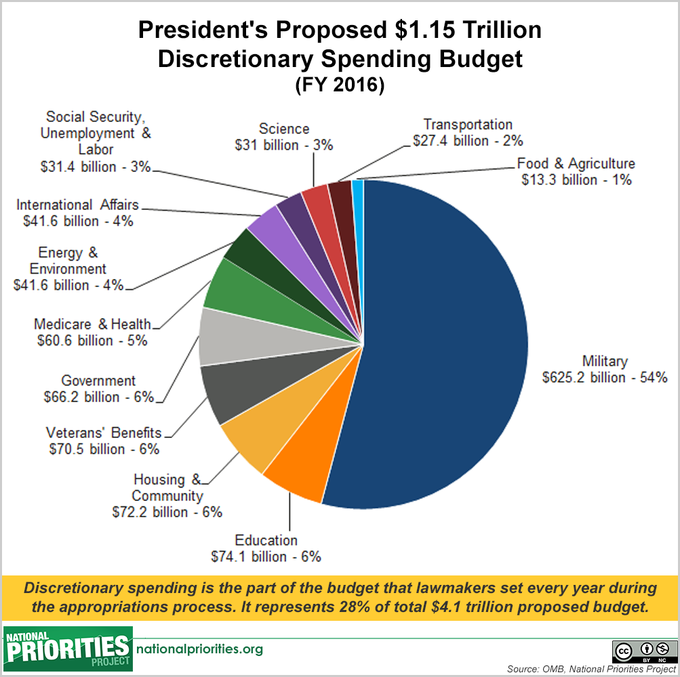 Aside from the wars, America spends more than 50% of its discretionary budget on the military, per annum, 16% of its overall budget. That's the main issue, the sordid topic that is rarely discussed in American politics, for fears of crossing the military-industrial complex. Jack Ma from Alibaba doesn't share those same fears, being a Chinese national worth $27b of zero fucks In a very rare glimpse into what the Chinese really think about American imperialism and how it shaped the global economy, all the better for China might I add, Jack Ma spoke candidly today in an interview with CNBC's Andrew Ross Sorkin. "It's not that other countries steal jobs from you guys," Ma said. "It's your strategy. Distribute the money and things in a proper way." 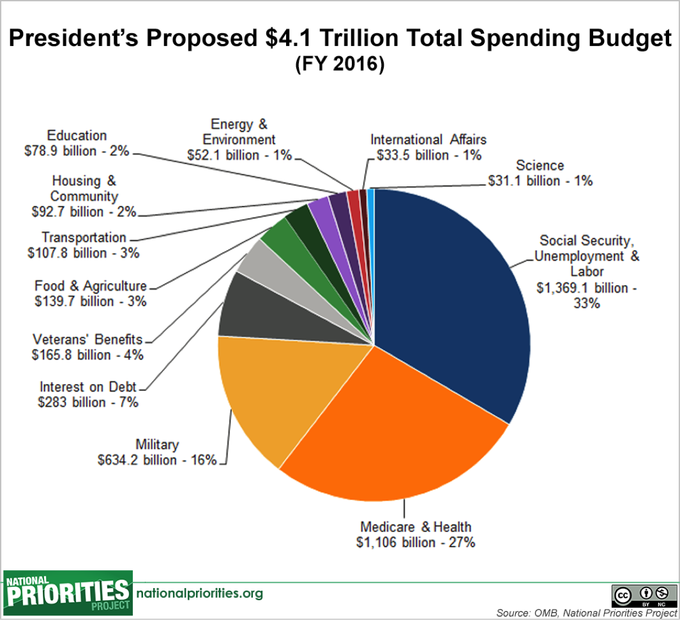 He said the U.S. has wasted over $14 trillion in fighting wars over the past 30 years rather than investing in infrastructure at home. To be sure, Ma is not the only critic of the costly U.S. policies of waging war against terrorism and other enemies outside the homeland. Still, Ma said this was the reason America's economic growth had weakened, not China's supposed theft of jobs. In fact, Ma called outsourcing a "wonderful" and "perfect" strategy. "The American multinational companies made millions and millions of dollars from globalization," Ma said. "The past 30 years, IBM, Cisco, Microsoft, they've made tens of millions — the profits they've made are much more than the four Chinese banks put together. ... But where did the money go?" He said the U.S. is not distributing, or investing, its money properly, and that's why many people in the country feel wracked with economic anxiety. He said too much money flows to Wall Street and Silicon Valley. Instead, the country should be helping the Midwest, and Americans "not good in schooling," too. "You're supposed to spend money on your own people," Ma said. "Not everybody can pass Harvard, like me." In a previous interview, Ma said he had been rejected by Harvard 10 times. Along those lines, Ma stressed that globalization is a good thing, but it, too, "should be inclusive," with the spoils not just going to the wealthy few. "The world needs new leadership, but the new leadership is about working together," Ma said. "As a business person, I want the world to share the prosperity together." Here's why your country is falling apart. The Russians didn't do that.